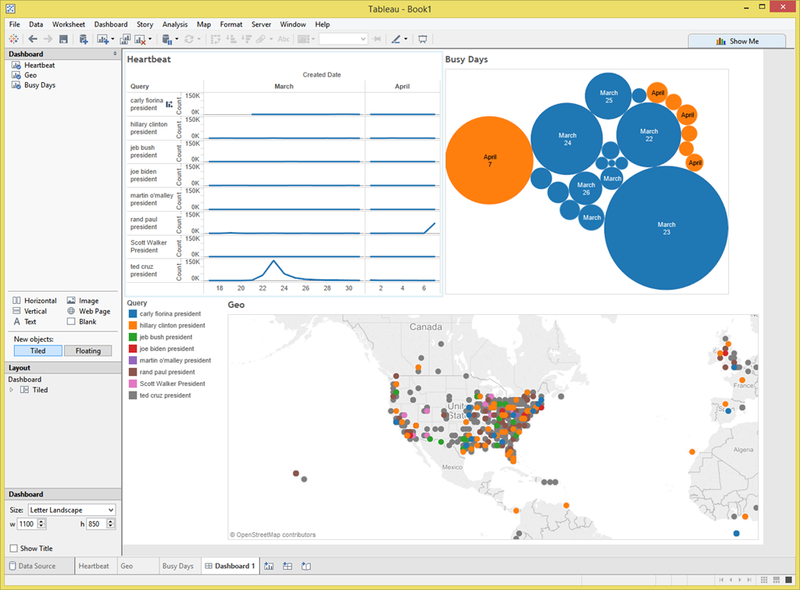 I just installed the new version of Tableau v9.0 and I have to say it is VERY FAST. I have pulled over 350,000 tweets on the Presidential candidates and you see site a slight pulse for Ted Cruz and Rand Paul. But these are the only two to Announce so far.